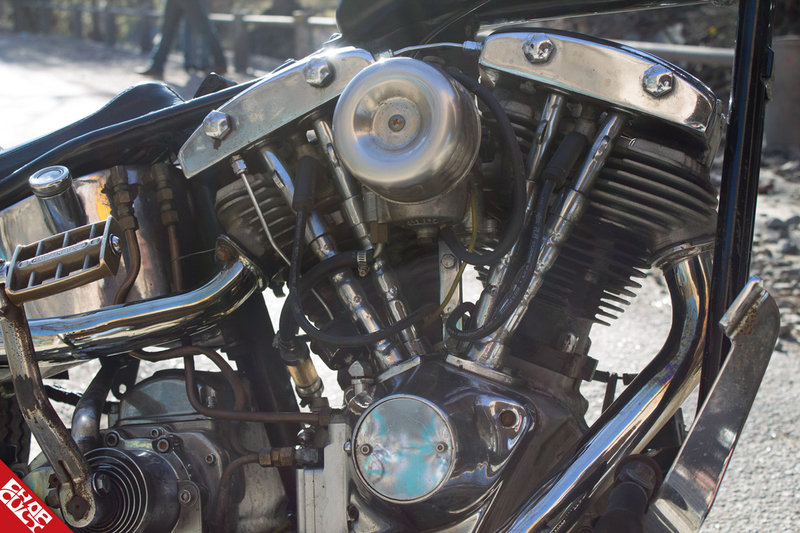 Most of us have had a dream of the perfect chopper in our head, but when it comes to putting together that dream, time and funds are the biggest factors. 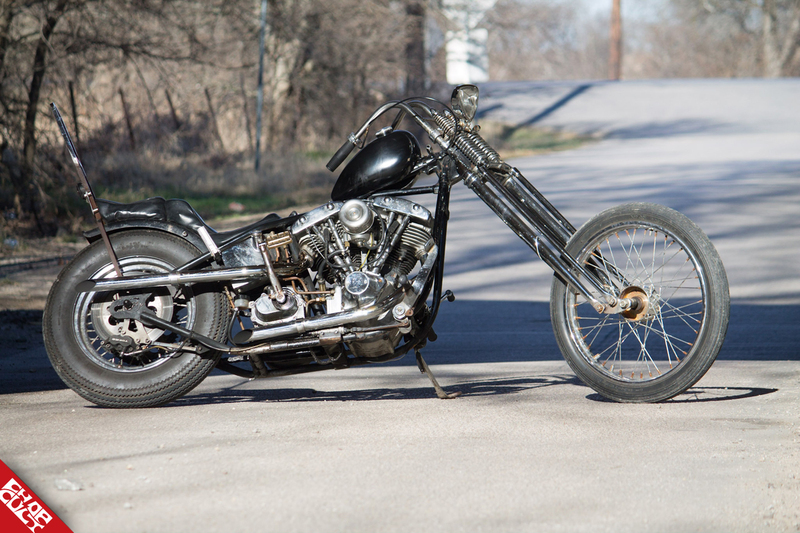 Wes Wilson was able to find this killer dual plugged 1977 Shovelhead ‘74’ chopper with most of the components and stance he had dreamed about for so many sleepless nights before calling this bike his own. This is Wes’s first Harley, and he went into it head first, learning to ride this chopper with a 10 over frontend and jockey shift. 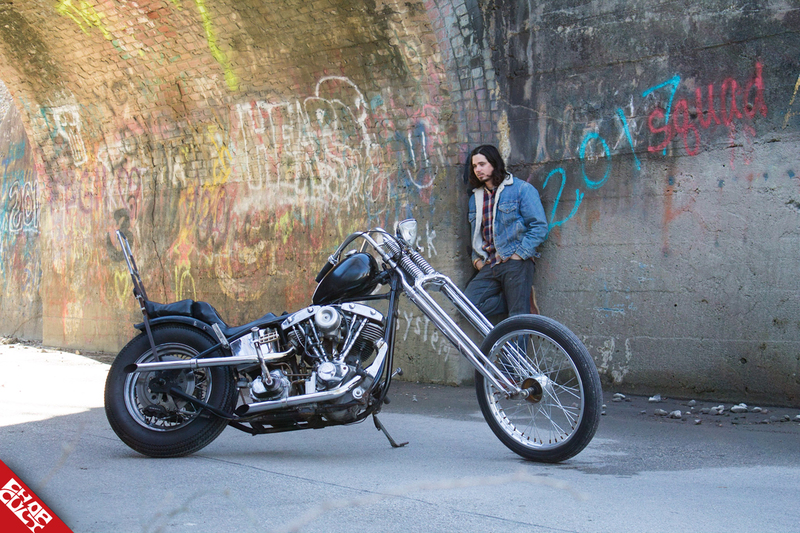 The changes he made are subtle, but just enough to show his personality and what he perceives to be a cool chopper. Wes struck the deal on this bike a little over a year ago and immediately decided to make a few changes to make the bike more his own. He started by purchasing a 10 over inline springer from Jeremiah at Loves Cycles and once he received it, he mounted it on the frame to perfect the stance. He then moved on to changing out the tank. He settled on a Hap Jones reproduction tank, gave it a custom paint job (Krylon) and mounted it on the back bone in its final resting place. Wes is a welder by trade, so while on the road for work, he made some free time and fabricated some stainless pull back bars. The transmission needed some work, so Wes turned to a local bike shop, Chopper Supply in Denton, Texas to get the 4 speed in good operating order. The final piece that Wes added was an old Corbin Gentry seat and was finally able to give the bike some of his personality. You see, it doesn’t always start with a ground up build. There are so many great bikes out there on the market that can be scooped up. With a little elbow grease and vision, any bike can be modified to suit the new owner. 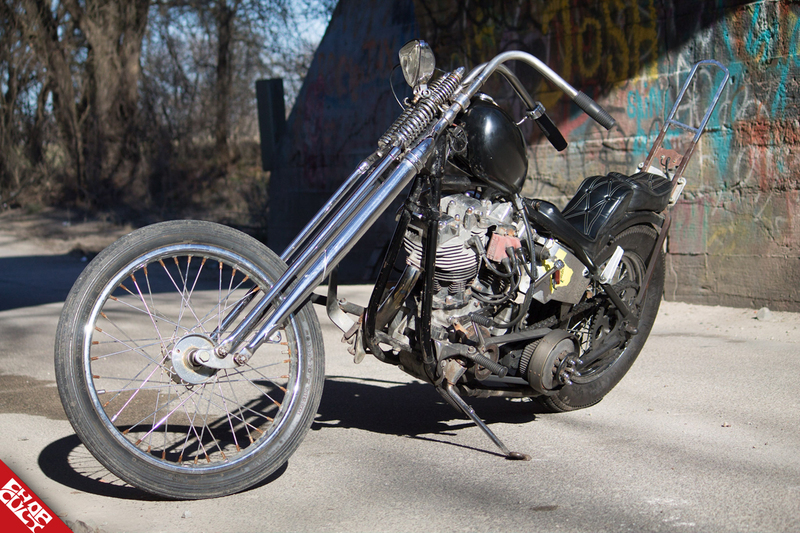 We all have a common vision of what a chopper should look like, but at the end of the day, we all have our own taste and idea of what we want to own and ride. This is a perfect example of just that. Wes rides this bike daily as it is his only source of transportation. After talking to him about the bike, he states that his favorite thing about the bike is how it handles. Wes doesn’t plan on doing much more to the bike other than putting as many miles on it as possible and enjoying the Texas back roads. 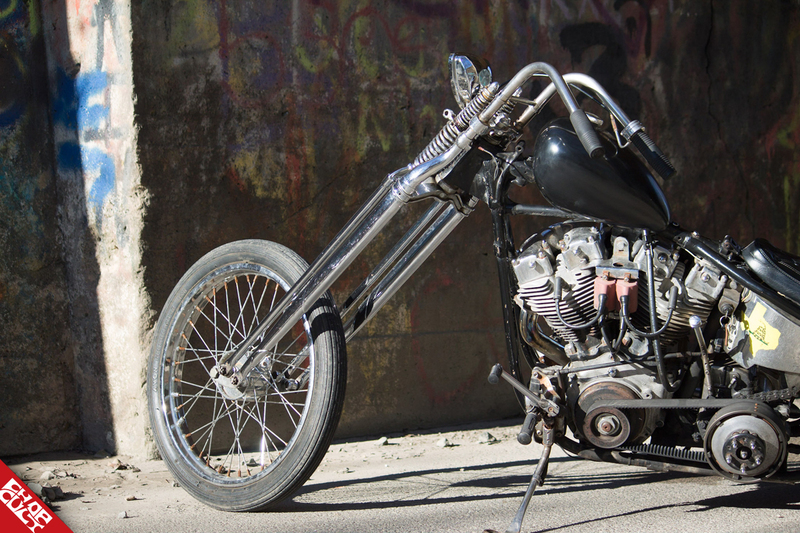 Wes would like to thank Chop Cult for digging his chopper, doing the feature, and giving him the opportunity to share his pride and joy for all of you to enjoy. 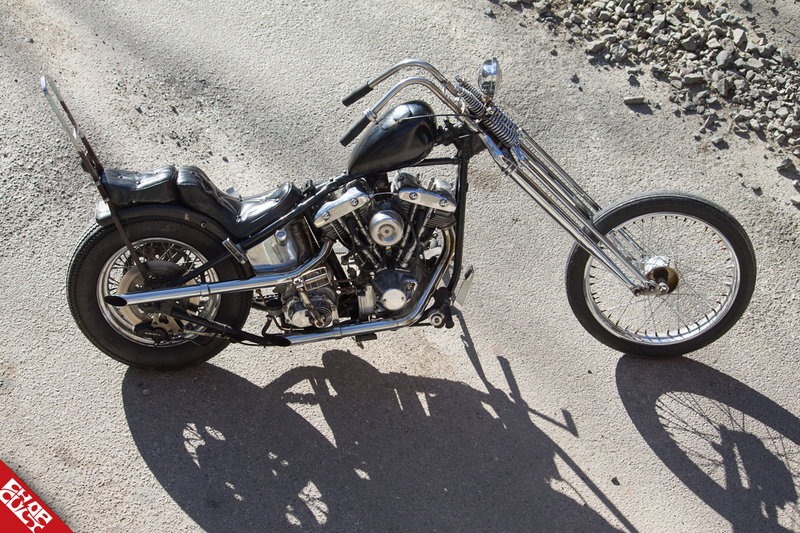 Engine, year and make, model, modifications: 1977 Shovelhead with a 4 Speed Ratchet top Transmisson. Favorite thing about this bike: The way the bike handles and the overall stance. Great story, great bike! Love that you weld and it's your only mode of transportation... Happy riding to you! Sweet scoot. Love the stance! I recognized this bike instantly as soon as I saw it on here. I met you last sept. there was a little street festival going on and I caught you and another cat leaving a restaurant. I think he was on an old honda. congrats on getting yourself an article here.